Hi, I’m Carly from Createlive, where I blog daily and focus on DIY, decor, fitness, and last but certainly not least, finding delicious ways to put a healthy spin on food. (Check out my Facebook Page here). 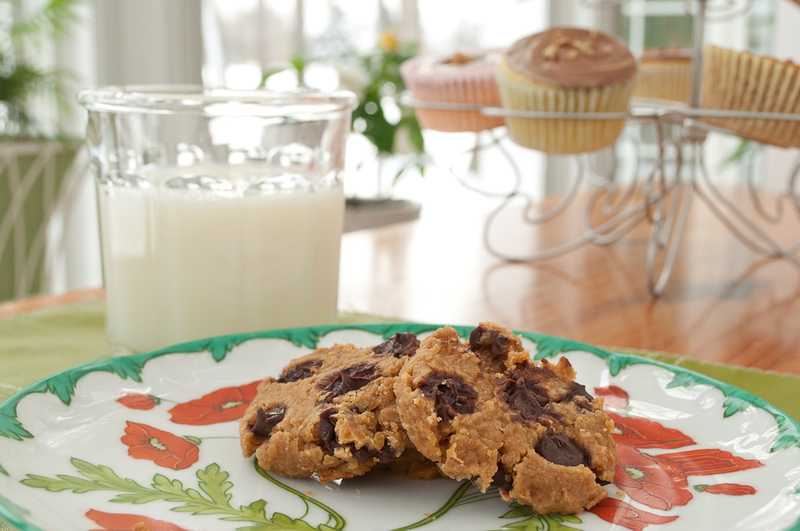 Today’s recipe is chocolate chip cookies using Chick Peas. 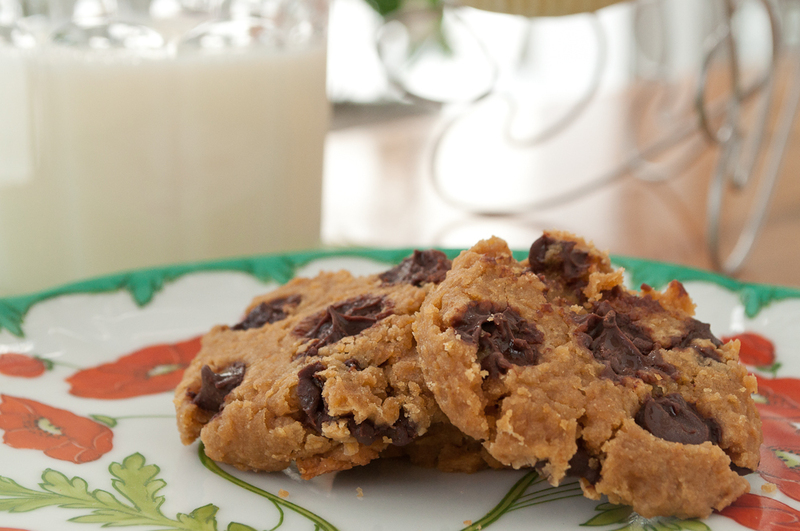 No eggs, oil, etc was used in this recipe… that means it’s guilt free! Cookie dough is delicious but I’m not a huge cookie dough person. Does that make sense? (Probably not… it’s a health thing). 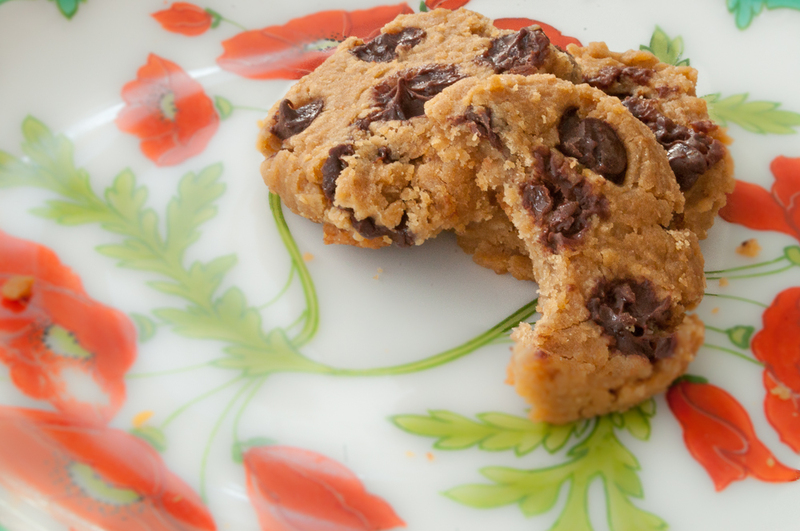 After making Cookie Dough Dip using Chickpeas, I was determined to continue making this delicious treat… but I can’t bring myself to make the exact same recipe over and over and over. Gotta reinvent. It’s an addiction of some sort. And so I decided, hey, why not try baking these things? It could work, right? All in all, I’m surprised by how good these are! 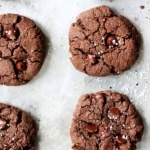 You will need to flatten them with a spatula because the thick batter does not self-flatten in the oven. Essentially, the shape they’re in when you put them in the oven is just about how they’re likely to come out. Other than that tiny tweak, these babies are delicious! 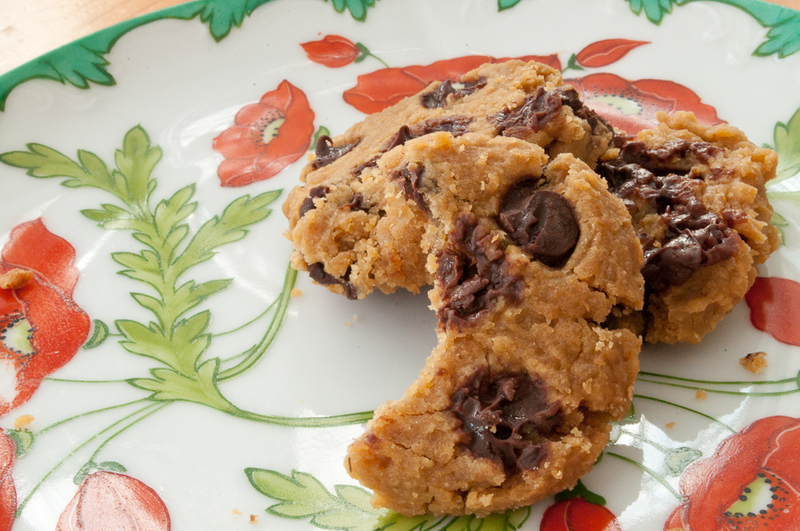 Combine all cookie dough ingredients — EXCEPT for chocolate chips — in a bowl and mix well. I used a magic bullet but wouldn’t be surprised if a high powered blender is also effective. I’ve also tried using a hand-held blender and have to say that’s probably my favorite method. Once no whole chick peas remain, add chocolate chips and stir. Scoop 1 inch thick balls onto a sprayed or greased cookie sheet. 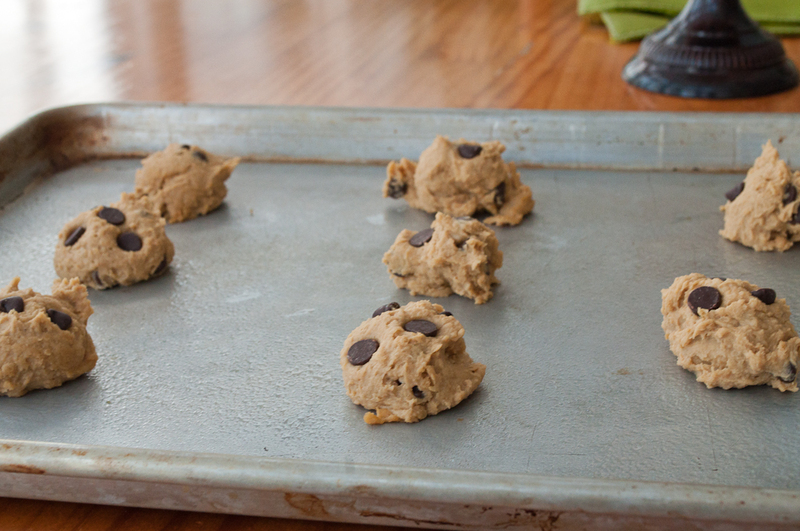 Before placing in the oven, use the back of a spoon or spatula to flatten the cookies because they will not flatten on their own. 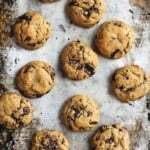 Bake for 15-20 minutes, or until chocolate chips are melting. 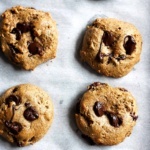 20 Responses to "Chickpea Chocolate Chip Cookies"
sounds delicious! 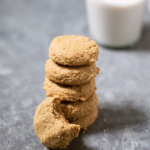 is there something to use in place of brown sugar? I'm sure you could use a natural sweetner. Or the brown sugar splenda blend perhaps. these. are. awesome. I will be raving about them to everyone! 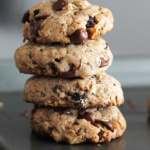 Perfect to make for my gluten-free friends! One of my co workers let me try one today they where really delicious! I love you site I just made these and my boys gobbled them down! And they are extremely picky.Now onto the brownies! 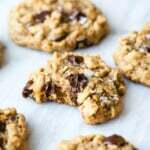 These are wonderful- do you have the nutritional content of the recipe. I have to say, while these are not on the same level as an original buttery, floury, chocolate chip cookie, they were still very good! 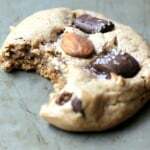 I was a little scared at first, as it was my first time baking with legumes, but I was pleasantly surprised! I added some cinnamon too. They were soft and light, and because they are healthy I didn’t feel awful eating a few of them! I was a little worried when I took these out because they were falling apart but once they settled they stuck together and are DELICIOUS! thank you!! Is there an alternative for the nut butter ? Sunflower Seed Butter-buy or make your own….